Is Ukraine an Underachiever or a Victim of the EU Expectation Gap? 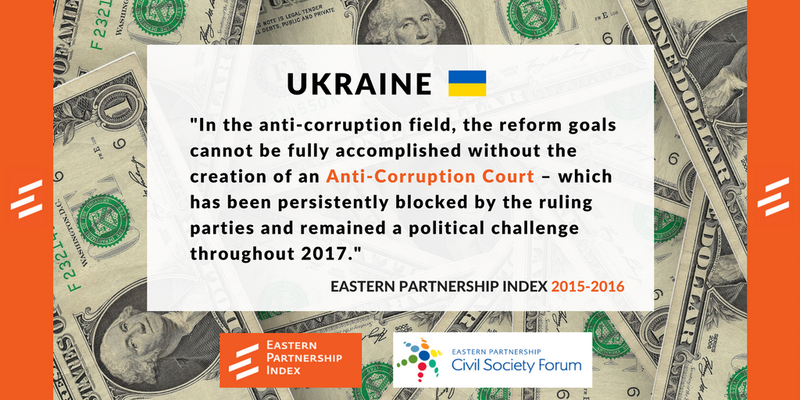 Following the official launch of the Eastern Partnership Index 2015-2016 on 23 January, New Europe Center, one of the partners in this EaP CSF flagship project, organised the Ukrainian launch of the Index report on 14 February in Kyiv. The roundtable discussion focused on analysing the factors preventing Ukraine from becoming the front-runner in the Eastern Partnership. Both Ukrainian and international experts, diplomats, and government officials took part in the discussion. 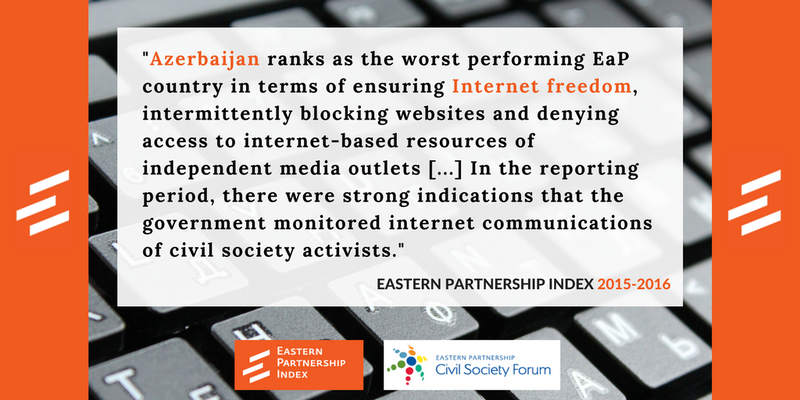 The experts stressed the importance of the Index as the only comprehensive tool for monitoring and providing comparative assessment of the reforms in the EaP countries. 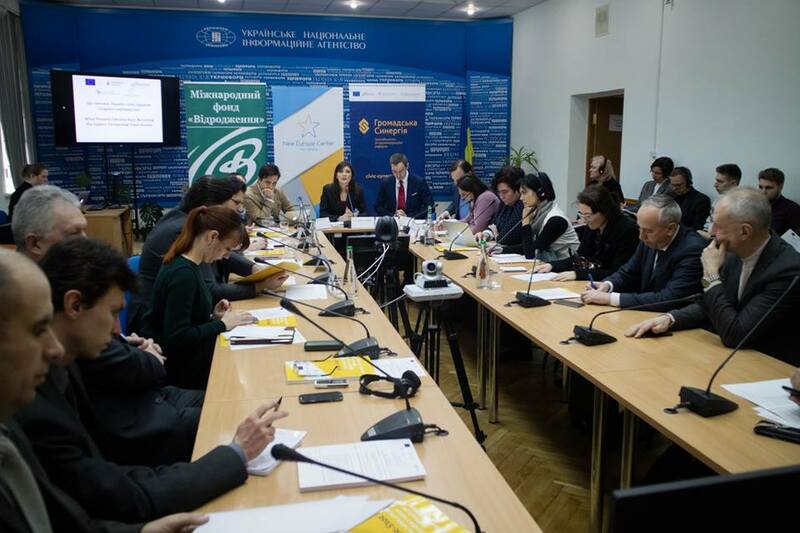 The index data was analysed in the context of six countries, while Veronica Movchan (Institute for Economic Research and Policy Consulting (IER)) and Hanna Golubovska-Onisimova (Ukrainian National Platform of the Eastern Partnership Civil Society Forum) – among other specific thematic highlights – spoke about the hindrances to Ukraine attaining a higher score. The country received the highest score in international security, political dialogue and co-operation, and held the leading position in sectoral co-operation and trade flows. It enjoyed by far the most intense political dialogue with the EU. 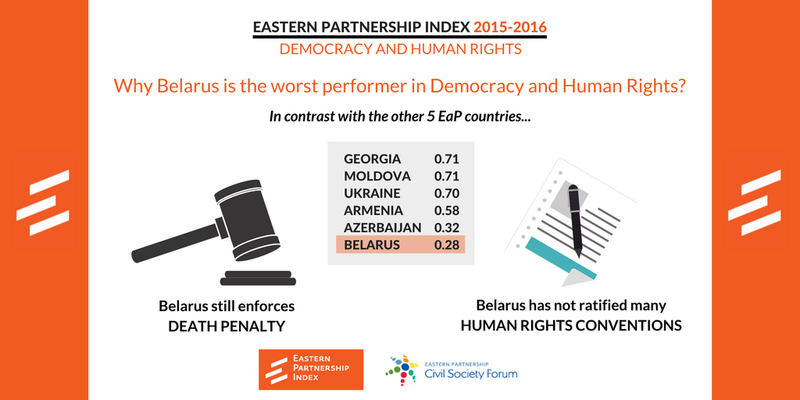 Ukraine is also the best performer in freedom of speech and assembly, and independent judiciary. Albeit the worst ranking in business climate, Ukraine held the first place in EU Integration and Convergence. 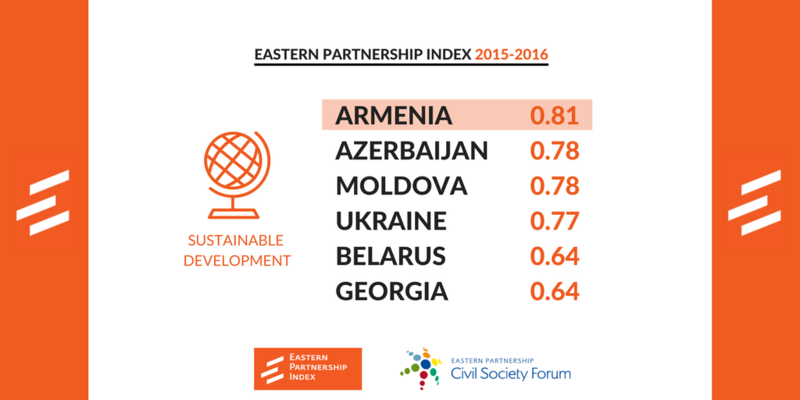 However, the country shared the last place in the region with Azerbaijan in the Citizens in Europe dimension due to the low scores for cultural engagement and co-operation in science and education. 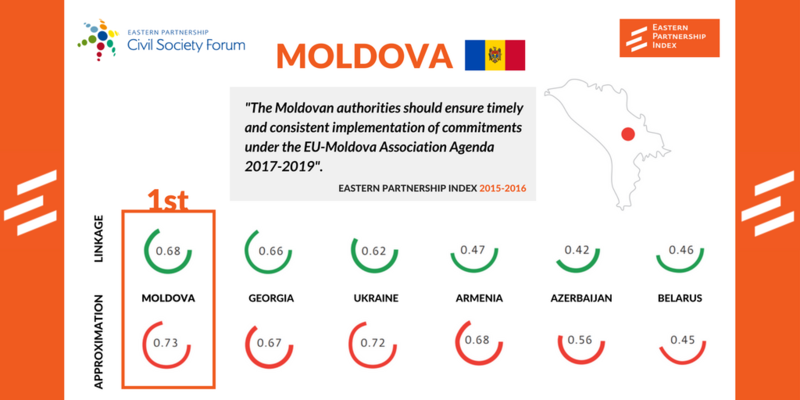 Leonid Litra (New Europe Center) interpreted the factors leading to the Moldova’s top position in this edition of the Index. The Eastern Partnership Index report presents through data analysis the comparative performance of the six Eastern Partnership (EaP) countries in terms of approximation in the fields of Democracy and Human Rights, EU Integration and Convergence, and Sustainable Development; and linkage in the fields of International Security, Political Dialogue and Co-operation, Sectoral Co-operation and Trade Flows, and Citizens in Europe. 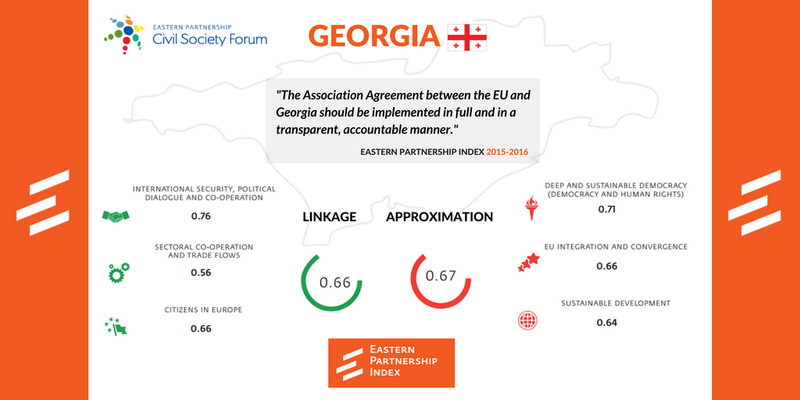 The Eastern Partnership Index is the EaP CSF flagship publication funded by the European Union, Open Society Foundations, the International Renaissance Foundation, Ukraine (IRF), and the Ministry of Foreign Affairs of the Czech Republic.